Talk about a change of plans! Ms. Frizzle and her class are on the Magic School Bus headed for a museum. They have been studying how the body turns food into energy, and now they are going to see an exhibit on the human body. Things seem fine until they stop for lunch. A strange mishap causes the bus to shrink and then be swallowed! Ms. Frizzle's class is suddenly inside a Talk about a change of plans! Ms. Frizzle and her class are on the Magic School Bus headed for a museum. They have been studying how the body turns food into energy, and now they are going to see an exhibit on the human body. Things seem fine until they stop for lunch. 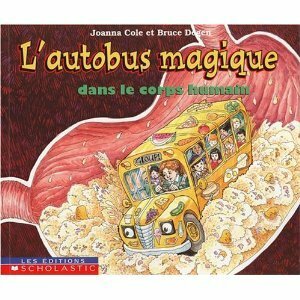 A strange mishap causes the bus to shrink and then be swallowed! Ms. Frizzle's class is suddenly inside a real human body!